“This is going to hurt us all!,” exclaimed an outraged Bedford-Stuyvesant resident during Wednesday night’s Community Alert Town Hall Meeting at Boys and Girls High School. This concerned resident was among 60 others who attended the meeting to discuss the possible closing and merger of Interfaith Medical Center. The community hospital, which is located at 1545 Atlantic Avenue, services over 250,000 patients a year in the Bedford-Stuyvesant and Crown Heights area, and if closed, would be detrimental to its workers, patients and institutions in the area. The plan to merge the hospital is a result of The Berger Commission, founded by the chairman of a private investment firm, Stephen Berger. According to previous reports, recommendations for the plan include Interfaith merging with Brooklyn Hospital and the Wyckoff Heights Medical Center, and for Brooklyn Hospital to be the lead facility. 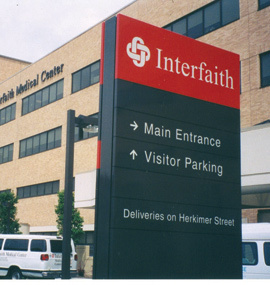 According to Interfaith Medical Center CEO Luis Hernandez, between 2005-2010, Interfaith experienced the “golden years” and at one point they even had approximately $72 million in the bank. Changes then came about in reimbursement and the hospital went from an average of $18,000 to $8,800 dollars, Hernandez said. “In 2011, we lost approximately 21 million, so a lot of this has to do with the significant change in the rates that we are receiving. Our rates were significantly cut and were no longer able to meet our expenses,” Hernandez said. During a panel discussion at the meeting, community officials and elects voiced their opinions and ideas of what needs to take place, starting now, to change the merge decision. Panelists included CEO Luis Hernandez, Board of Trustee member Al Wiltshire, Chief Operating Officer Patrick Sullivan and President and Chairman of Scudder’s InfoTech Security Foundation, Inc. Brett Scudder. 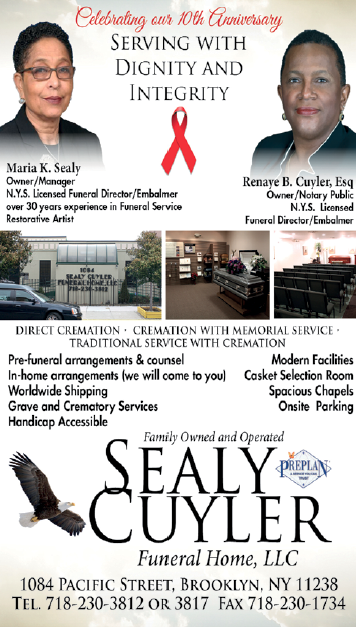 These harsh realities were proven to Scudder when his hospital, Peninsula Hospital Center, located in Queens, New York, was permanently closed after 104 years of service on April 9, 2012. “This situation is very similar to what happened at Peninsula. So, rather than bickering and pointing fingers, quickly we need to be on the ball and unite as one community,” he said. Knowing the truth of what this situation is really about is not merely enough to rectify the decision as people are eager for answers and solutions to keep the neighboring hospital where it is and the way it is. Wiltshire’s question is one that was obviously shared by many in the audience as they fear that if Interfaith merges, it will be tremendously difficult to receive health care that is less than 30 minutes away, as many elderly cannot commute that far and others just don’t have the means to do so. “It takes about an hour by car to get down to Brooklyn Hospital. Wyckoff Hospital can take you about 25 minutes to an hour; and what happens if you don’t have a car? You miss the 25 [bus] here, you have to wait 20 minutes for another one,” Wiltshire said. Hernandez said at this point the ultimate fate of Interfaith remains unclear. “At this time we are working with Brooklyn Hospital to see how we are going to be a part of their system; a survey will be conducted over the next 15-20 weeks and at the end of that time we will determine which direction we are going to go,” he said.